If ever there was a week when we’ve longed to sit in a bright field with friends and some beautiful words and music to help us make sense of the world, this last one was it. In times of uncertainty, gathering together brings solace and perspective; we remind each other what matters, take a deep breath and square up to the challenge. Your Greenbelt needs you … and you need Greenbelt. When it feels like there's no plan or roadmap, we need the wisdom of future thinkers – people like Paul Mason on post-capitalism, Eve Pooleon ethical consumerism, Citizen's UK's Neil Jameson on community organising, Jude Wanga on race relations in the UK, Symon Hill on the upside-down Gospel, Theos think tank's Elizabeth Oldfield on the soul of Europe. 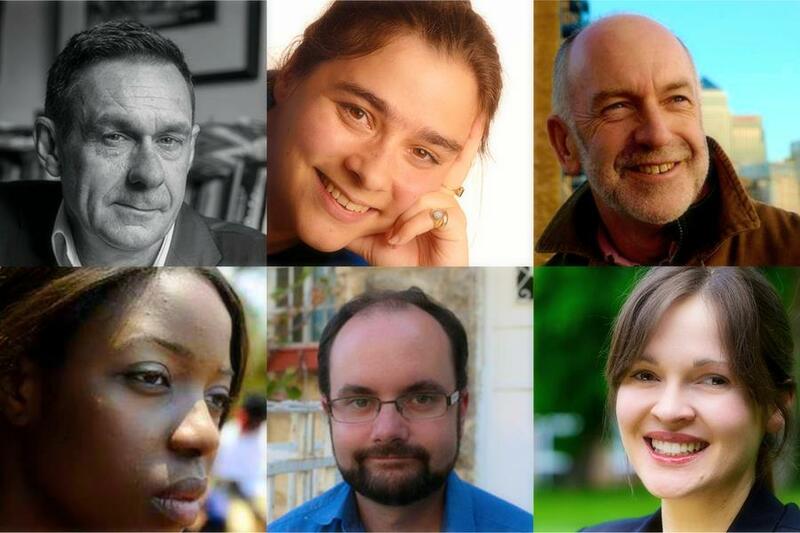 All these insightful speakers are on the Greenbelt bill this year. 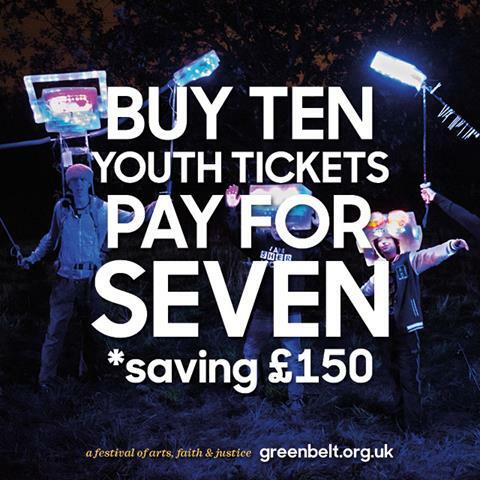 With great prices on child and youth tickets – just £50, first-time leader tickets – just £50, and tickets for 18 to 25-year-olds – just £80, now is the time to book for Greenbelt. Bag best prices before midnight, this Thursday – June 30. 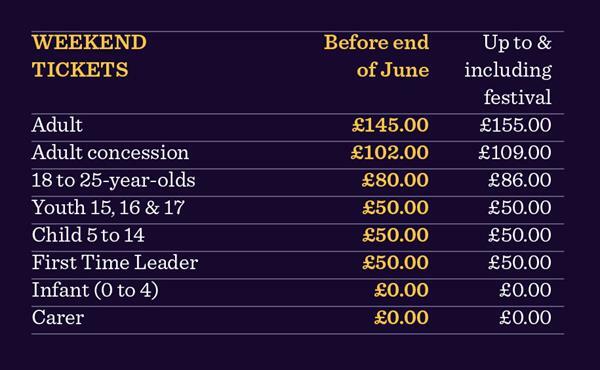 If you paid for a deposit ticket, then you need to pay your balance by midnight on Thursday 30 June. Don't forget to book your onsite showers. And, if camping's not for you, take a look at this local campus accommodation at Moulton College. 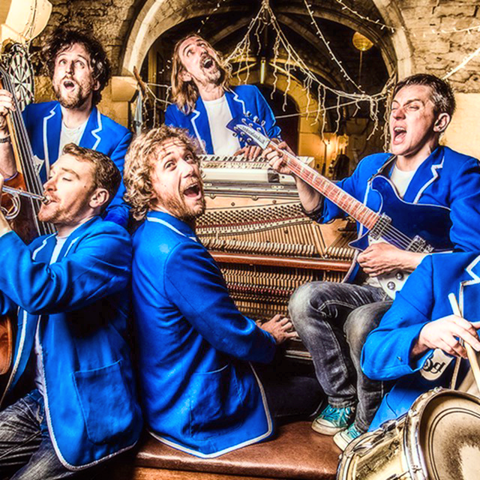 Hope & Social return to Greenbelt this year, but not to headline in their own right. This time, it's your turn to join them on stage as they bring the magic of their A Band Anyone Can Jointo the festival. 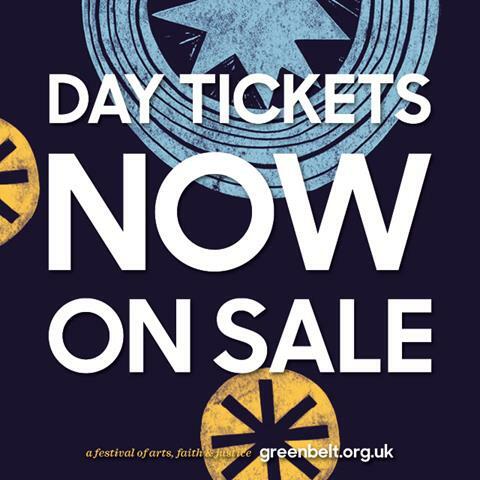 Whatever your talent – sign-up to be part of this most Greenbelt-y of headline acts here. With inter-generational injustice one of the key issues facing us as a nation, we need to listen to our young people, to really hear what they have to say, to understand why they think what they do. 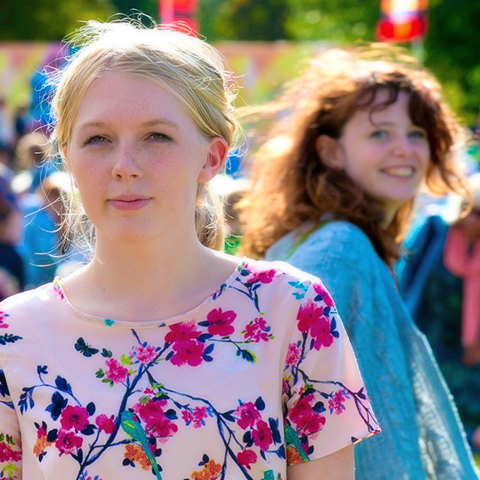 We're looking for under 18s to Tell It Like It Is at Greenbelt. Site vibers – making the festival site look fantastic, read about site vibing roles here. 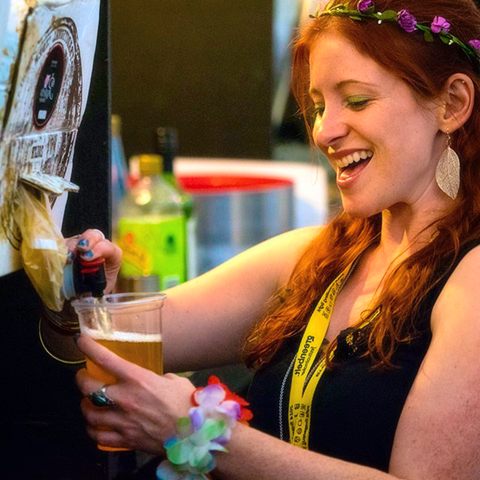 Beer Tent team – if you like serving customers and are happy with a variety of shifts, this team's for you! 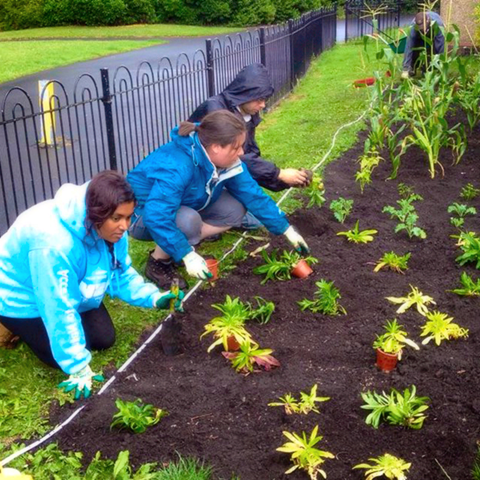 URC guest blog: How does your garden grow? "Why is it easier to be kind to plants than to people?" Ann Honey, church-related community worker with the URC, explores this question in more detail on our blog here. 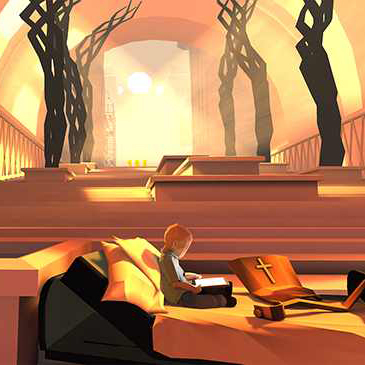 Andy Robertson brings a new programming strand to the festival this year, exploring gaming as culture. Read about this innovative programming on our blog here. 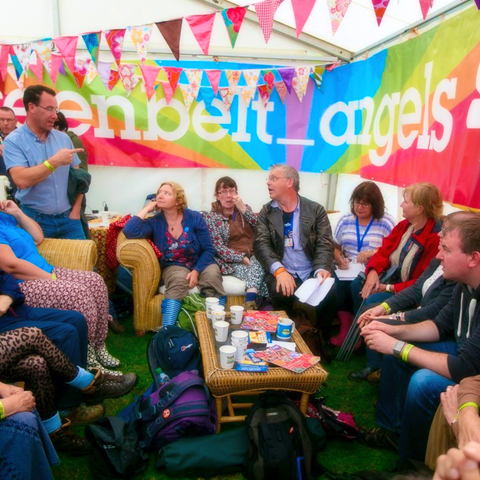 In uncertain times, we are thankful for our band of Angel givers, securing the future of the festival with their belief and generosity. 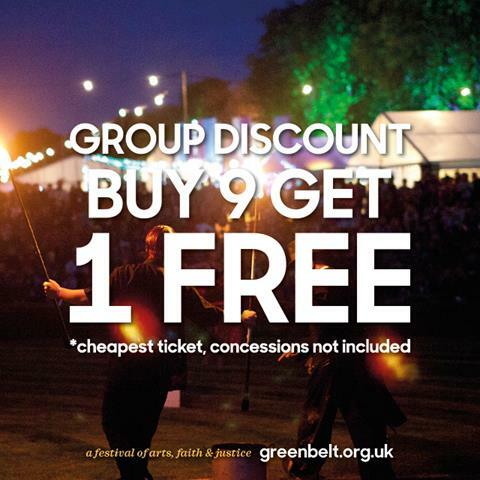 To find out more about supporting Greenbelt as an Angel click here. In the lead up to the Referendum, Hip-hop star, historian and activist, Akala – with us at Greenbelt this summer – was on Channel 4's EU Referendum debate. His words then – and more extensively on his website here – seem even more prescient, powerful and prophetic in hindsight. 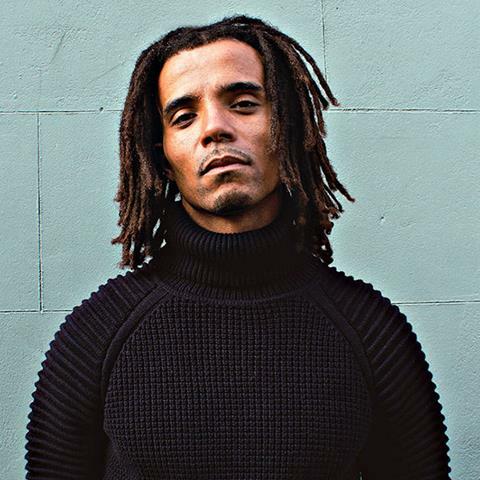 As well as his mainstage performance, Akala will be interviewed at Greenbelt.